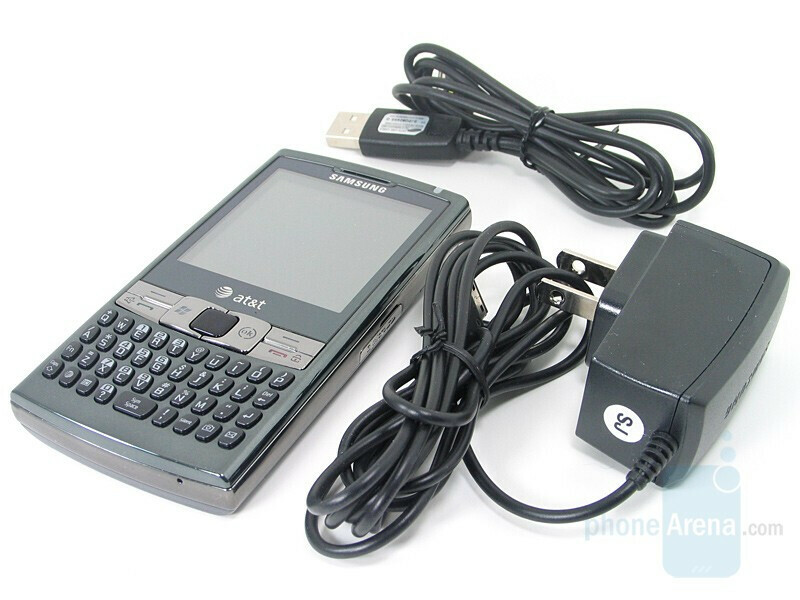 Samsung has been perfecting their own smart phone lineup for some time now with each device that it releases. 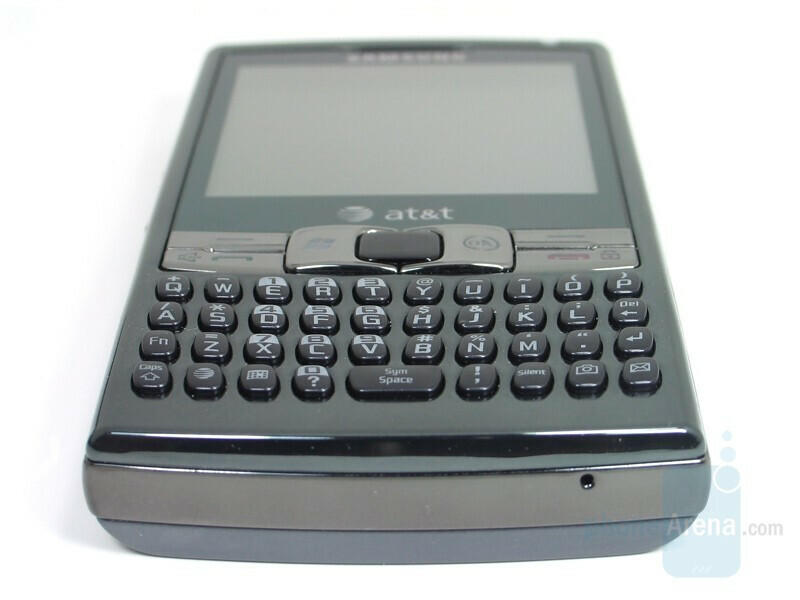 Over the past couple of years, Samsung’s BlackJack line has been the most popular QWERTY smart phone series in AT&T’s selection. Now enters the Samsung Epix which hopes to attract more heavy business oriented users with its packed new features. Although the Epix retains some of the design elements found on the BlackJack II, there are a lot of additions packed into the shell of the phone such as a touch screen and innovative optical mouse. Users will also be glad to see the phone installed with a variety of third party applications to keep them entertained as well. There is no doubt that Samsung kept the design of the BlackJack II in mind when creating the Epix. Holding the phone in your hand feels quite pleasant thanks to its smooth plastic exterior. Overall, it is slightly thicker than the BlackJack II while noticeably light for a phone that has almost the same dimensions as the AT&T Tilt. You can compare Samsung Epix with many other phones using our Size Visualization Tool. The QWERTY keyboard design found on the Epix is identical to the BlackJack II with no changes in the layout of the keys. Typing for some can be difficult due to the small keys and cramped spacing of the design. Characters are easily distinguished thanks to the white backlighting. 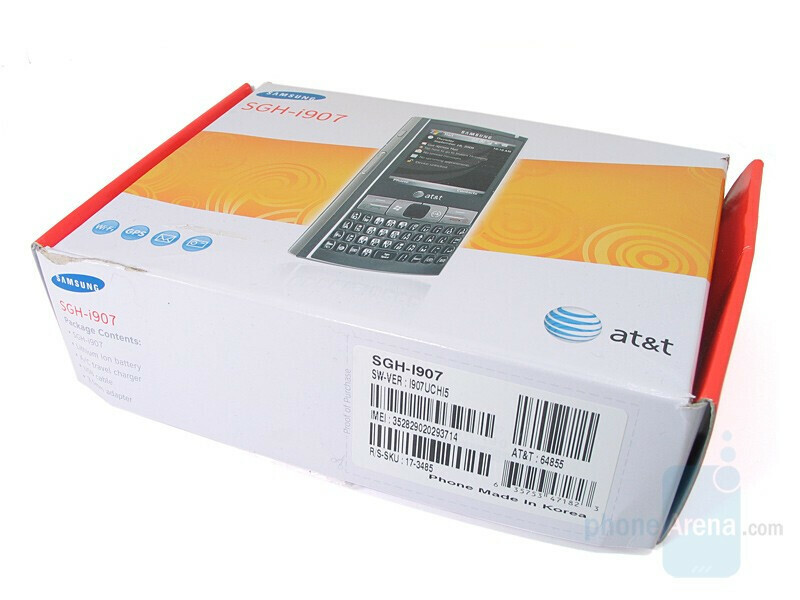 Dialing phone numbers can be performed using the numeric keypad, which is part of the QWERTY. Samsung decided to revamp some of the hardware underneath its shell which packs a 2.5” TFT touchscreen that displays 65k colors with a resolution of 320x320 pixels. Although the brightness works well in low light conditions, it was difficult to view in direct sunlight. 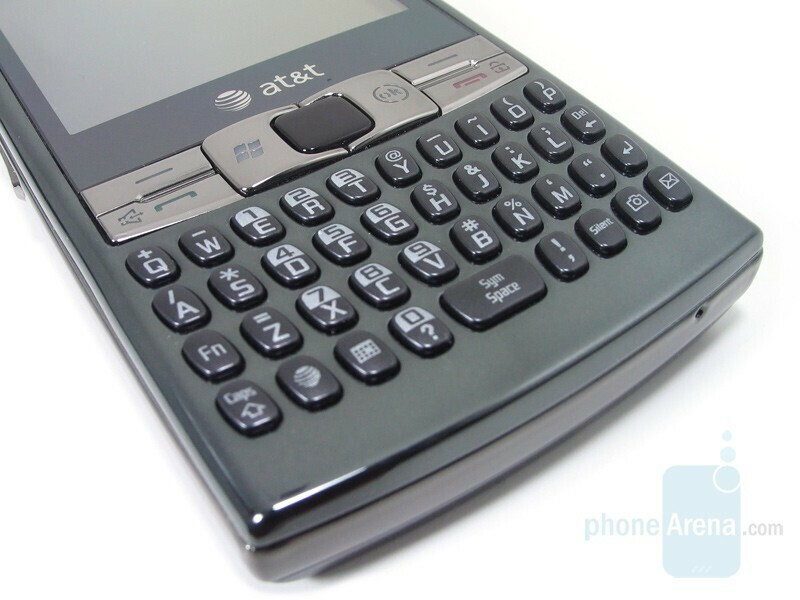 This is one of the few phones that implements a touchscreen with the full QWERTY keyboard layout similarly found on Palm’s popular lineup of smart phones. The Epix utilizes the traditional resistive technology found on many other Windows Mobile smart phones. Unfortunately we have found that multiple presses must be made in order to register when we clicked on a specific area on the screen. 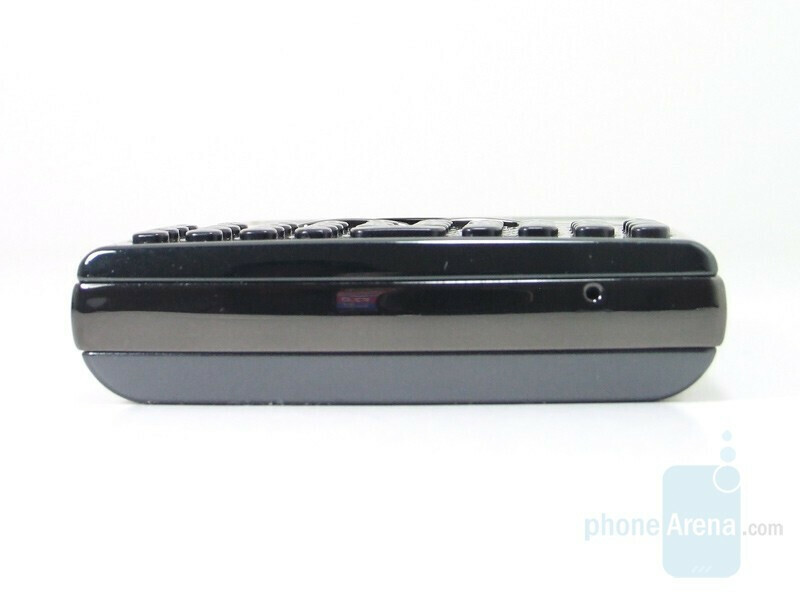 The phone provides a small vibration to signal that the user has touched the screen. 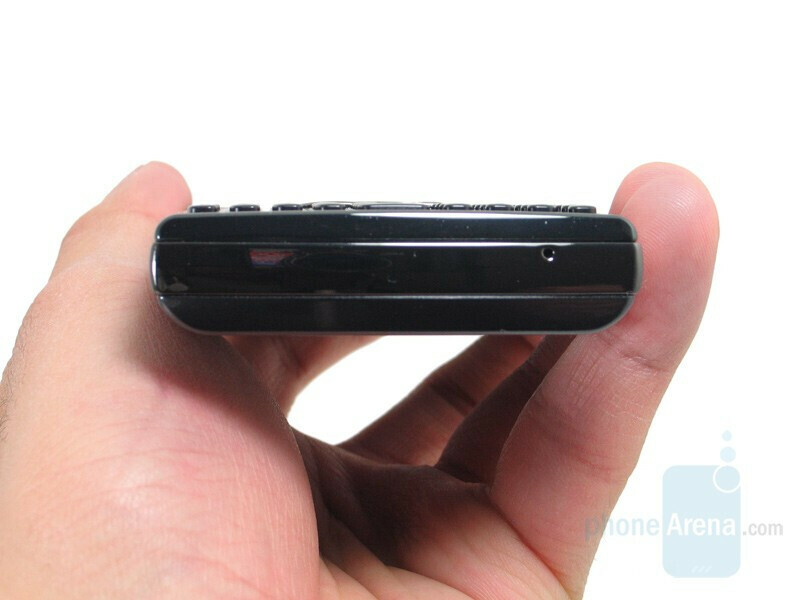 Navigating can also be completed by using the optical mouse found in the center of the phone. 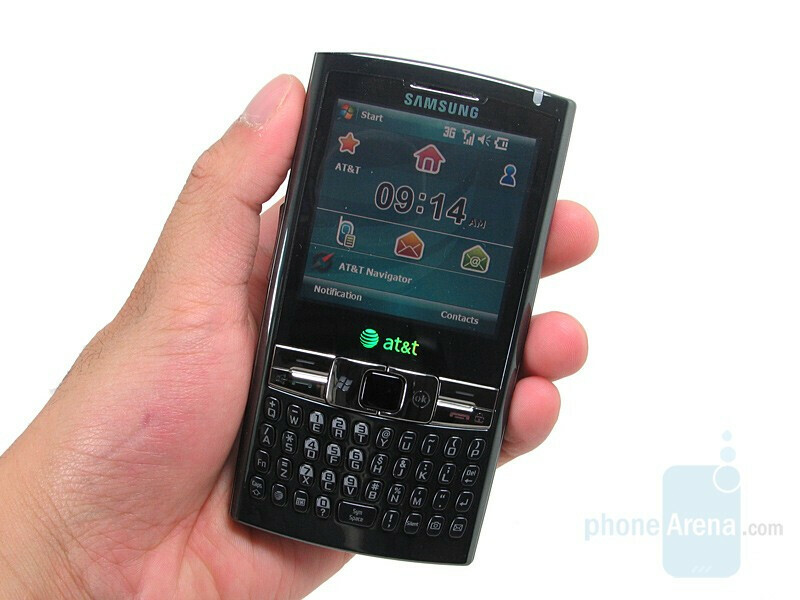 Samsung decided not to keep the BlackJack II’s rotary D-pad and instead uses something completely new and not found traditionally on phones. 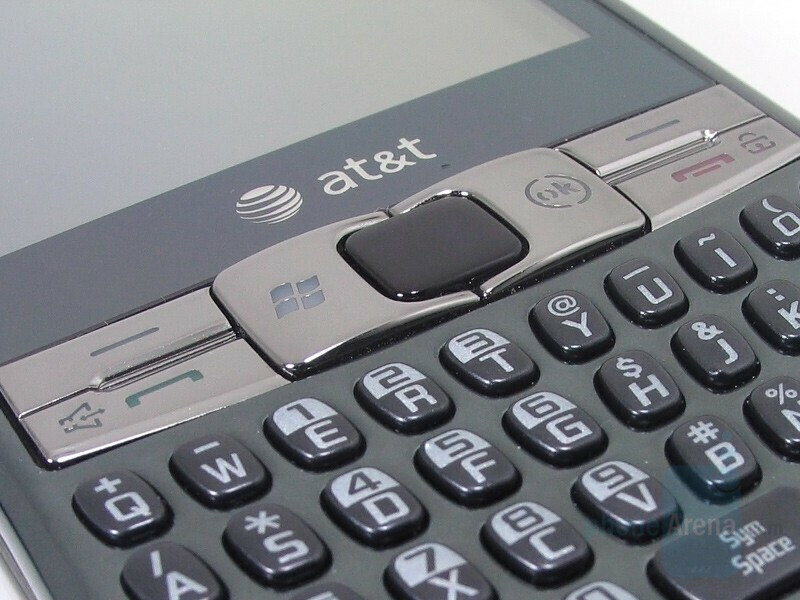 At first, one may be thrown off noticing that the Windows Mobile platform now uses a mouse cursor for navigation. It’s best described as a miniature version of a touch pad found on laptops but for phones instead. The optical mouse is quite sensitive when navigating through the menus on the phone and found it effective best with web browsing. Pressing down on it will select a link or command. We found that Windows sometimes registers this as a double click and very inconvenient especially when using the side scroll bar in pocket Internet Explorer. The Start and OK keys are found directly to the left and right of the optical mouse respectively while the Send and End keys border the top portion of the keyboard. 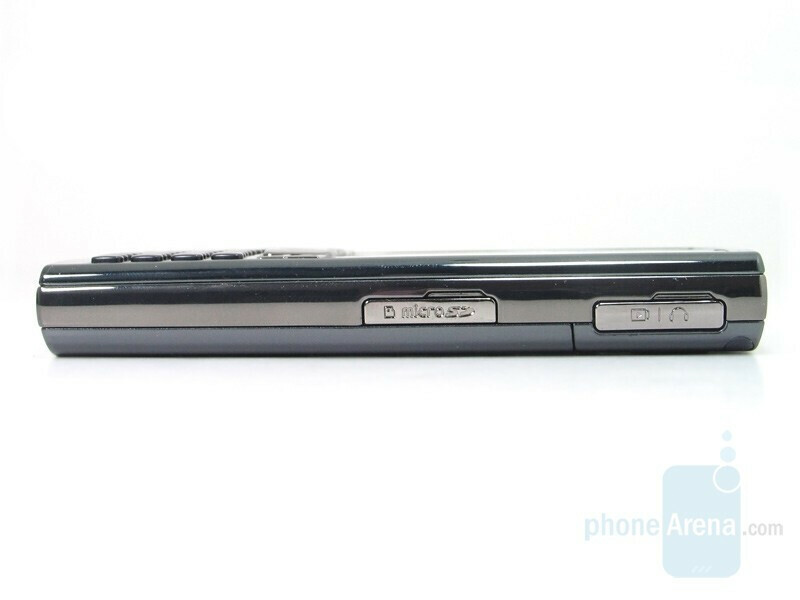 As with other Windows Mobile enabled phones, the soft Left and Right keys are also found towards the sides. We found that all of the front hardware buttons are slightly raised and easy to select. 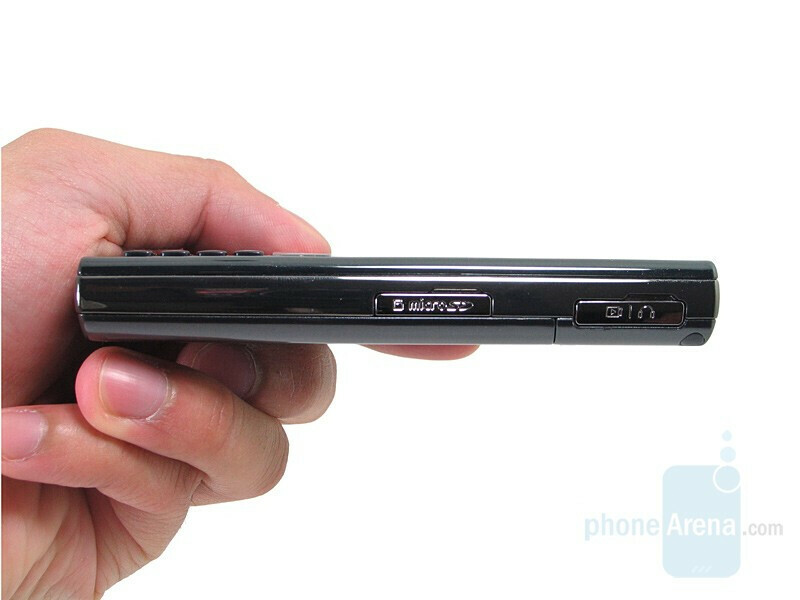 The volume rocker and dedicated power button is found conveniently on the left side of the device while the microSD slot and charging port are found on the right side. The back houses the 2-megapixel camera with a self portrait mirror and speaker. 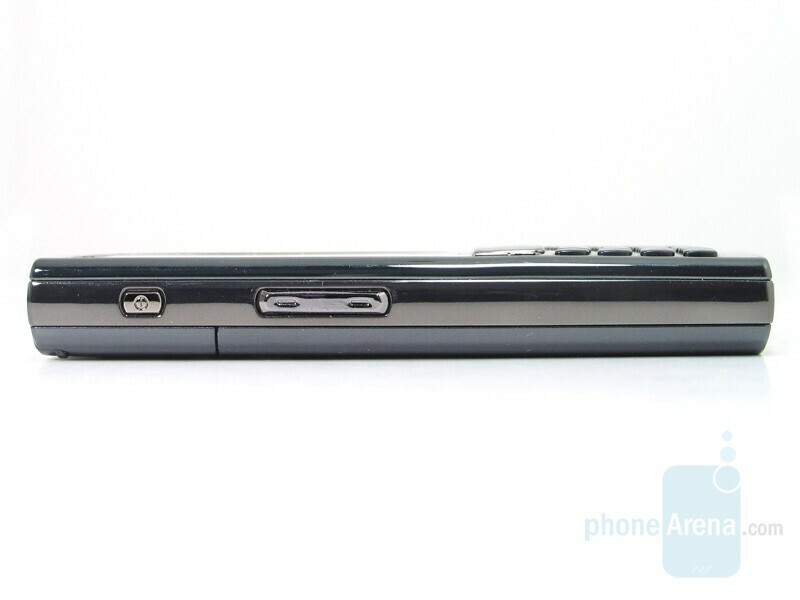 As with other Windows Mobile Professional phones, the stylus compresses when placed into the slot found on the upper left corner. Meanwhile, the multi-LED indicator is found on the top right hand side. Lastly, the microphone can be found solely at the bottom right side. Don't forget to check our Gallery for more images.